Friday was Frauentag (or International Women’s Day in English), and here in Berlin this was a public holiday for the very first time. Given a day off for a good reason, I decided that it would be a fitting tribute to dig in the crates and put together a tribute mix for my all-time favorite female jungle dj/producer – the one and only DJ Rap! One key point to make is that ‘favorite female jungle producer’ is really underselling things, like it’s a tokenistic thing. DJ Rap is one of my favorite jungle producers, full stop. So the holiday was really just a useful excuse to do something I had wanted to do anyways. 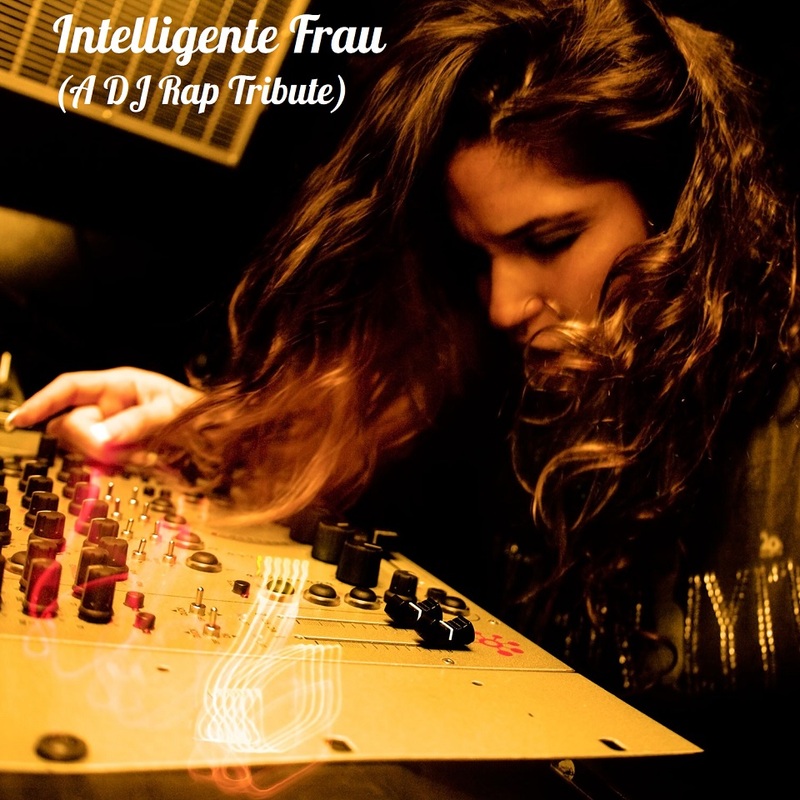 The title is just a play on the fact that one of her greatest tracks was called ‘Intelligent Woman’, which translates to German as ‘Intelligente Frau’ – a nicely titled mix for Frauentag, right? For this mix, I pulled out a selection of her tunes from 1994 to 1996 and threw them together in one improvised session – this mix has both big classics as well as some more obscure tunes. Actually, I wanted to make this a fifteen track mix, but I couldn’t find my copy of Burning Love, a 1995 track she did with Voyager (aka Pete Parsons). Funnily enough, it turned up right after I did the mix … my son had picked it up and put it in another pile of records! Most of the tracks featured here are from her own label Proper Talent, plus I have also included a few other tracks from her appearances on other labels, including a few very tasty rarities, like ‘Universal Mind’ which appeared on the Telepathy compilation on Breakdown, a Suburban Base sub-label. Unfortunately, this album was pressed with four tracks per side (a crazy decision if ever one was made) so it’s pretty hard to use for dj purposes – I had to crank the gain and eq’s all the way up to get it to sit nicely with the other tracks. Other rarities featured include her remix of Poison Chang’s ‘Love The Woman’, a vintage ragga jungle tearout that was only featured on a Jungle Fashion remix album, and her tune with Aston that appeared on Suburban Base’s Subplates 3 release. Whether anthems or obscurities, what I wanted to capture with this mix was her unique style – of big booming beats and basslines that collapse into euphoric, ethereal breakdowns before exploding again into pure energy. It’s a formula that few people could match, and why I love her music so much. So who is DJ Rap? Born Charissa Saverio in Singapore in 1969, she was the daughter of an Italian father and a Malaysian mother and came to the UK as a young child. I actually don’t know that much about her early backstory – she recently released an autobiography via Billy Bunter’s Music Mondays (buy it here) but I haven’t got around to picking it up yet. So you also mentioned there weren’t many female DJ’s on Fantasy when you got involved, and in fact there weren’t many female DJ’s in the scene at all at that time, which I’m sure has led you to play the part of a role model to many of the female DJ’s out there today. Was there anyone you saw as a female role model when you were starting out? Thats a good question, but no is the true answer. There were some great female DJ’s about like Kemmy (Kemistry) and Storm, Tamsin, etc … but I think I was just the first one to demand to play on the main floor you know? I was the first DJ to say I’m not playing in just a strictly girls room, I didn’t care about gender and I expected to play on the main floor with the boys, I expected to get paid the same. That was what I did first. Then, of course, I was first to produce hits, first to start my own label and so once I was on a roll I just became the first to do everything. It wasn’t intentional I just felt I don’t wanna be in a room just playing with girls, it should be about talent, not segregation. I’m good enough to play on the main stage so that was my goal and in those days that was just unheard of. But let’s take nothing away from the great female DJ’s there were. To put it bluntly, I was just very spirited I think and I had the biggest mouth. It always got me into trouble but I just wasn’t gonna put up with it. You could say I was a scrapper from early on. I might have been brought up in a convent but by the time I got to England and I’d been bullied enough and I’d learned how to fight I was like right I’m not having it anymore hahaha. One exciting thing that she has done recently is to start reissuing some of her old classics on vinyl, including previously unreleased mixes that never made it past dubplate – you can buy them direct from her at her site here. Could you tell us a little more about (these new releases)? So what gave you the idea for this? Well as I said I’ve sort of fallen back in love with drum & bass in the last 3 years and I’m making tunes and all that again after taking a break and I just thought, I’ve got like 70 or 80 odd tunes that were never released. I was speaking to people about it and they were like “you should just release them on vinyl” and I thought well yeah why not. Then I thought well they’re all on dubplates so how about Propa Dubs and it just made sense.